Have you ever wondered how Conservative Party of Canada politicians and their supporters (perhaps to your horror this even includes some of your unfortunate loved ones and friends!) have continued to defy any sense of logic and reason in maintaining their blind devotion to a party led by a man with the worst economic record of any Canadian Prime Minister since the end of the Second World War and who has dragged Canada back into recession; been a poison pill to national democracy by proroguing parliament on multiple occasions, constantly muzzled scientists with grave climate and environmental concerns, flagrantly ignored Aboriginal rights issues; attacked unions and helped erode checks and balances in the workplace; a party that nixed the long form census – a valuable statistical tool used to guide government resources in battling poverty and reducing the marginalization of disadvantaged groups; a party which crippled the status of women’s budget in a country where 50% of women will be sexually or physically assaulted in their lifetime and where the gender pay gap is double the global average; a party headed by a guy who appointed eight senators who have been caught using taxpayer dollars for inappropriate expenses—the same guy, in fact, who showed a chilling disdain for this country when he proclaimed, in 1997, that: "Canada is a Northern European welfare state in the worst sense of the term, and very proud of it." How is it that any Canadian would still consider placing a vote for a Tory government, let alone look themselves in the face in the mirror if they’re actually a member of the party, you no doubt wonder? Don’t they care that the Conservatives are prepared to plunder our environment ad infinitum, stealing our descendants’ future? Don’t these people have kids, or grandchildren, you might ask, scratching your head? Don’t they care about the economy and want Canadians of all stripes to have good jobs? Don’t they want to stand up for our human rights, or are they all really just obsessed with Justin Trudeau’s haircut? Well, recent evidence has come to light that finally explains this puzzling, irrational support for the Conservative Party. Yep, information has surfaced which suggested that for several years now the Tory party has operated a string of pharmaceutical manufacturing plants which have produced a drug known to key members of the Tory party as Conservazolam. Inspired by the Soma of Brave New World, Conservazolam dulls higher reasoning function, preventing independent and critical thought in its users and instills a euphoric sense of well-being and affection for the Conservative party. In fact, your friends or loved ones may even have been dosed with Conservazolam without realizing it as the drug is tasteless and dissolves quickly in water. In addition to the effects mentioned above, other common side effects include brain fog, dry mouth and constipation. ﻿If you or a loved one feels an unreasoning attachment to the Tory party I strongly advise you to secure an independent water supply at once. 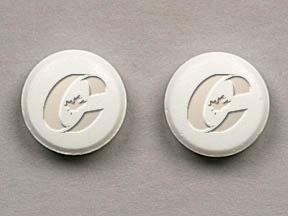 As soon as Conservazolam has been out of your system for 5 to 7 days side effects will abate and higher reasoning function return, leaving you free to vote in the coming federal election with all faculties intact. 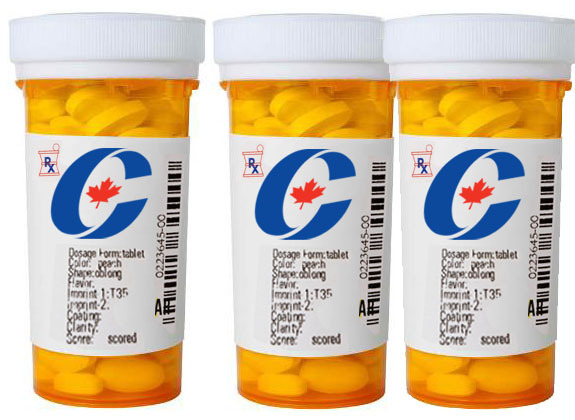 Some high profile Conservative party members who stopped taking their daily dose of Conservazolam in recent months are Peter MacKay, John Baird, Shelly Glover and Christian Paradis. They got off Conservazolam and embraced reason, and so can you! As Jack Layton liked to say, "Don't let them tell you it can't be done."